Here at the multiple award winning Sharoe Green Dental Practice, we pride ourselves in offering exceptional dental care for our patients in Preston and further afield in Lancashire. Our expert team offers complete dental care for all the family, as well as a full range of cosmetic treatments, including teeth whitening, adult braces and dental implants. We take a proactive approach to general dentistry, with a focus on helping all of our patients to keep on smiling and are continuously investing to make sure our patients have access to the very best treatment available. As we continue to grow, it is our pleasure to warmly welcome two new members to the team, Lizzi and Victoria. 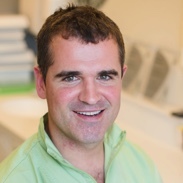 The newest dentist on the team, Lizzi joins our team of dentists alongside Principal Dentist Dr. Graeme Fisher, who has led the practice for almost two decades, and Associate Dentist Dan Walmsley, a more recent addition to the team. Hailing from Preston, Lizzi has an unusual story to share – she was a patient at Sharoe Green Dental Practice for 20 years and even did her work experience with the team, before choosing to study as a dentist. 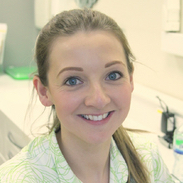 In 2017, she graduated from the University of Bristol as a Bachelor of Dental Surgery (BDS) and now returns to the practice as our newest dentist! After completing her A-level studies, Victoria joined the practice as a trainee dental nurse in February 2019. As a dental nurse, she plays a key role in supporting our team of dentists and hygienists, helping in every aspect of dental care. She also helps to make sure that all of our patients are comfortable and happy during examinations and treatment. You will no doubt see her friendly face during your next visit to us. 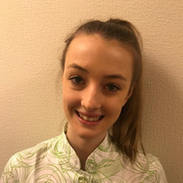 As Victoria progresses with her training as a dental nurse, we look forward to her taking on an even greater range of responsibilities and becoming even more involved in your dental care. To learn more about Lizzi, Victoria and the rest of our team, feel free to browse everybody in the meet the team section of our website. To book an appointment now or to enquire about becoming a member of our award winning dental practice, call today on 01772 718753 and take advantage of our special offer with a new patient consultation for just £42*. *price correct as at 02/04/2019 and subject to change. Easter is just around the corner. The supermarket shelves are adorned with chocolate eggs, chocolates, sweets, cakes, hot cross buns and a myriad of other Easter edibles. Whilst they all look and taste great, they can also spell disaster for our teeth (and waistlines) if we are not careful – and children are at the greatest risk.To help make your family’s Easter a little more tooth-friendly, we’ve prepared 5 suggestions to help cut back on the sugar this Easter. It’s easy to forget that Easter eggs don’t have to be made of chocolate – and indeed in many countries they are not. Nobody said that they must be filled with sweets either. With such an excellent range of crafting materials available both online and in high street retailers, why not unleash your creativity and craft an egg themed gift that contains something your children can play and engage with rather than eat? For bonus points, you could even make an egg out of paper mache or something similar and put something educational in it. An hour or two spent online searching for ideas could easily pay itself back with less time at the dentist in the future! Another great way to avoid the temptation of over indulging in chocolate eggs is to prepare Easter baskets filled with a range of offerings that excludes sugar and sweets.You could colour code the baskets to each child’s taste and make the gifts relevant to their interests – think football, animals, cartoons and the like… Lego, puzzles and stickers are all also great ideas which can be easily themed for Easter. If you don’t fancy getting the paints out, wrapping paper, stickers, ribbons and other materials are all easy to obtain and make for mess free manufacturing. Children’s magazines can also be a great way to get themed materials that you can repurpose for your project. If you choose to involve the children in either of the above, you could also add a recycling theme into the equation and get them to repurpose leftover containers etc from the kitchen. If you really want to enjoy an egg sharing session with edible eggs, why not substitute chocolate eggs with real ones? 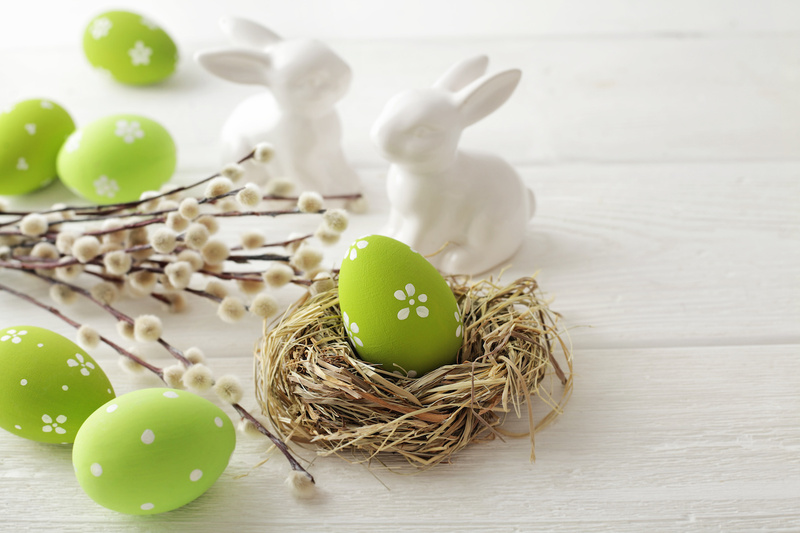 In some countries such as Poland, it is still traditional for children to paint and decorate hard boiled eggs. On Easter Sunday, families an egg smashing competition at the table before eating the eggs as part of a special Easter breakfast. A quick look online should be enough to find food-safe egg dyes, which in conjunction with wax crayons can make for a highly enjoyable activity session with completely sugar free edible results. Not only will you keep the kids busy during half term, you’ll also be encouraging them to get involved in the kitchen. Another approach to Easter edibles is healthy, wholefood snacks. Nuts, raisins and savoury snacks can be used to great effect. Experiment with organza bags, tissue paper, decorative foil wrap (the type often used for flowers or bottles) or any other material with which you can fashion an attractive pouch and fill it with the most healthy and natural munchies you can find. You can then add ribbons and other decorations to give them that final touch. Of course, do be careful of choking hazards for smaller children. Did you know that dark chocolate usually contains much less sugar than milk chocolate? If you really do feel the urge to have some chocolatey treats of your own creation to indulge in during Easter, a simple way to substantially reduce the amount of sugar used is to substitute milk chocolate with natural, unsweetened dark chocolate. Just be sure to check the label to make sure that you really are cutting down on the sugar content. If you want to go a step further, you may also wish to bake with sugar substitutes. There is a plethora of mouth-watering low sugar Easter recipes to be found online. Here at the award winning Sharoe Green Dental Practice, we pride ourselves in offering a proactive approach to dental care and are always open to new patients. As part of our continued commitment to offering the very best in dental care, it is our pleasure to welcome some new members to our team this month – dentist Lizzi and apprentice nurse Victoria. Keep an eye out to learn more about these two fantastic team members in next month’s blog! To book an appointment now or enquire about becoming a member, call today on 01772 718753. Why do dental checkups matter? A recent report into the habits of UK adults has revealed some fascinating facts. People under the age of 34 attend the dentist frequently for cosmetic treatments but not for regular checkups. Although this may be partly because people generally have healthier teeth, it appears to be more to do with people failing to understand the benefits of a six-month dental examination. Have you ever wondered if dental checkups really matter? Read on to learn just why you really shouldn’t be skipping them, and why keeping your dental appointments in 2019 could be the best new year’s resolution you’ve ever made. Just as in the medical world, the same is true when it comes to all things dental. Even if you were to equip yourself with a set of dental mirrors and take the time to examine your own teeth and gums, you would likely miss vital clues that an experienced dentist would recognise as early signs of gum disease or tooth decay. What looks like a healthy smile to you may be masking problems that are only apparent to the trained eye. It is far better to see the dentist regularly and ensure that preventative action can be taken than to wait until potentially painful symptoms develop. Apart from the inconvenience, once you begin to experience pain or discomfort it may be too late and eventually costly and uncomfortable dental treatment is inevitable. Your dentist may also recommend that you attend the hygienist, who is able to offer a range of prophylactic treatments as well as being able to advise you on every aspect of oral hygiene. Both your dentist and hygienist are always happy to discuss any questions or concerns you have, and can help you to introduce changes to make your oral hygiene regime even more effective, taking into account personal factors such as your lifestyle. A regular dental checkup is by far the best way to ensure that your teeth and gums stay as healthy as possible and that you never end up needing an emergency visit to the dentist. Did you know that going to the dentist is not just about your teeth? Dentists are trained to recognise early symptoms of oral cancer, which has been proven to considerably increase survival rates among those diagnosed with this deadly disease. Mouth cancers are more common in people over 40, particularly men. However, research has shown that mouth cancer is becoming more common in younger patients and in women. There are more than 640,000 cases of mouth cancer diagnosed each year worldwide and it is the eleventh most common cancer. In the UK, more than 2,300 people die from mouth cancer every year and many of these deaths could be prevented if the cancer was diagnosed early enough. As it is, people with mouth cancer are more likely to die than those having cervical cancer or melanoma skin cancer. Your dentist will carry out this examination as part of a routine dental check-up. It is worth remembering that your dental team can see parts of your mouth that you cannot see easily yourself. Dentists can also recognise symptoms of gum disease, which can cause bad breath (halitosis), receding gums and even tooth failure. With gum disease now known to have wider health implications and the potential to increase your risk of developing other, more serious illnesses, this alone is a good reason not to avoid your five minutes in the dentist’s chair. To book a checkup now or enquire about becoming a member of the award winning Sharoe Green Dental Practice this year, call our friendly team today on Preston 01772 718753. Everybody wants to start the new year with a smile. But if you’ve experienced problems with your teeth – from staining and discolouration to missing or damaged teeth – having a perfect smile may seem little more than a dream. But did you know that with the many cosmetic dental treatments now available, it is easier than ever to restore your smile back to something you can be proud to share – and there’s no better time to start than now. Here are some of the options available for 2019. If it’s crooked teeth that are causing you to hide your smile, then Invisalign Braces could be the perfect solution. Using advanced technology, Invisalign are clear, removable braces that are almost invisible meaning that you won’t have to put up with visible metal ‘train-tracks’ for months to come. In fact, they are so discreet that hardly anyone will be able to tell you’re wearing them. They also fit around your lifestyle – if you have an important event coming up, like a meeting or party, you can simply take your retainers out, leaving you free to eat and drink as you please without worrying about damaging your teeth or braces. Invisalign removable braces are also better for your oral health than conventional braces, as you’ll take them out to brush and floss. Treatment typically lasts from 12-18 months, but the stunning results will leave you smiling for years to come. Over 10 million patients have had their smiles brightened by this Zoom treatment and there are a range of treatment options available to meet specific patient requirements. Using a special gel and a special lamp, after just a 45 minute session at the dentist, you can leave with your teeth visibly whiter. Of course, as with any dental procedure an initial consultation will always be needed prior to treatment to make sure that the treatment is suitable for you. We also offer patients teeth whitening kits to use at home. The system we use is White Beauty Dental Teeth Whitening System because it’s a worldwide market leader in tooth whitening materials, it’s easy to use, and it delivers great results. Because the treatment is supervised by a qualified dentist using approved products, you can be sure that the process is both safe and effective. Icon is a revolutionary new treatment designed to treat white spots and mottled appearance of teeth with no injections and no drilling. Decalcification – the loss of the mineral element from the enamel that can occur during fixed brace treatment if there has been a lapse in the standard of oral hygiene around the orthodontic brackets. Childhood illness or trauma to the adult teeth. Traditionally these white spots would have to be covered with either composite filling material or porcelain veneers. However, both of these approaches usually require drilling and injections to remove the white part of tooth and are thus destructive, as the teeth in question are actually still healthy. The beauty of Icon treatment is that it requires none of these things but using the scientific process of resin infiltration allows the white spot to blend in with the surrounding tooth to provide a beautiful and aesthetic smile. Here at the award winning Sharoe Green Dental Practice in Preston, we pride ourselves in offering the very best in cosmetic dental care, as well as a full range of routine dental care services, all provided by an experienced, friendly and professional team. To enquire about becoming a member now and starting the new year with confidence, call us on 01772 718853 . 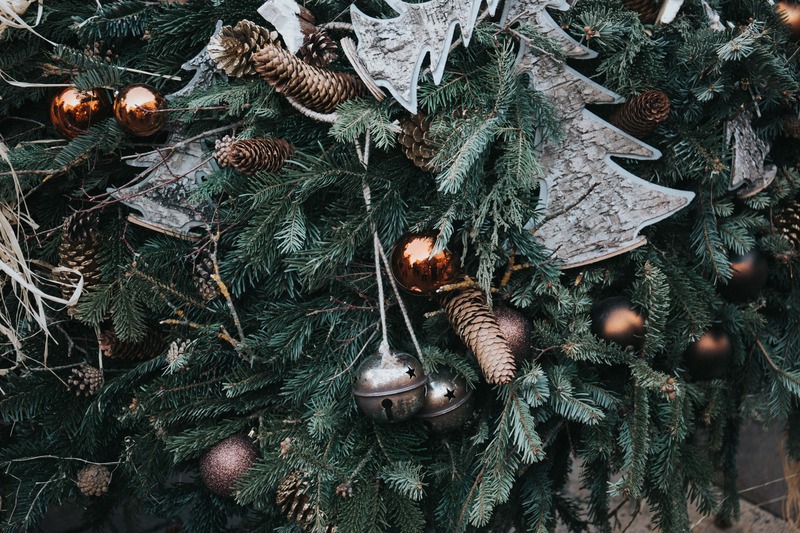 Sharoe Green Dental Practice would like to wish all of our patients a Merry Christmas and a Happy New Year. We would like to thank you for all of your support over the past year and we look forward to seeing you in 2019. In case of emergency, contact the practice on 01772 718753 and our answerphone message will advise you on what to do. Mouth Cancer Action Month is an annual charity campaign which which takes place every November. It is organised by the Oral Health Foundation, a leading UK charity that works to improve health and wellbeing by reducing the harm caused by oral diseases. The aim of this important campaign is to to raise awareness of mouth cancer and save lives by promoting the values of prevention and early detection – by making everybody more mouthaware. Throughout November, Dentists, health professionals and other community organisations will be highlighting the risk factors and signs and symptoms associated with the disease – and here at Sharoe Green Dental Practice we are proud to support this important cause. By joining forces to communicate the causes of mouth cancer, we can encourage healthier lifestyles and reduce the number of people diagnosed with the disease. To achieve this, it is also important that we can recognise the early warning signs so that we can act on any unusual changes in the mouth as soon as possible. Why does Mouth Cancer Action Month matter? In 2017 alone, more than 8.300 people were diagnosed with mouth cancer, whilst there are in excess of 300,000 new cases every year around the world. Worryingly, the number of people being diagnosed with mouth cancer has grown by around a third in the last ten years. Unlike most other cancers, the number of people suffering from mouth cancers is predicted to increase further in the coming years. Whilst certain lifestyle factors such as smoking and alcohol are known to be major risk factors for many mouth cancers, it is important to understand that the disease that can affect anyone. How can dental check-ups help prevent mouth cancer? Don’t ignore any unusual lumps or swellings or red and white patches in your mouth. Regularly check your own mouth, lips, cheeks, head and neck for anything out of the ordinary. Remember, some of these early signs of mouth cancer can be hard to detect yourself. One of the best ways to be sure that any suspected symptoms of mouth can be found and treated quickly and effectively is to ensure that you have a regular dental check-up. Your dentist is trained to recognise these symptoms and will check for them as part of your examination. Ultimately, visiting the dentist regularly can help to save lives. As a charitable campaign, Mouth Cancer Action month relies on support from the entire community – and you too can play a part in the fight against this deadly disease. One way to support the campaign is to wear a blue ribbon. The Blue Ribbon Appeal plays a key role in directly engaging people with the issues surrounding mouth cancer. Whether it is talking about the risk factors involved, the early warning signs or the benefits of early detection, all can make a difference in improving education and ultimately saving lives. Costing just £1, blue ribbon badges have been worn by over 250,000 people over the last three years and the money raised through the appeal has helped the Oral Health Foundation, in the last year alone, to directly provide mouth cancer advice to 350,000 people online, over the phone, by email and by printed information. Members of the public can also set up a regular charitable donation to support action against mouth cancer through the official campaign website. 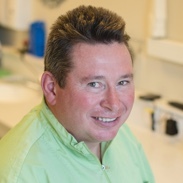 If you haven’t seen your dentist in the last six months or have any questions about mouth cancer, don’t hesitate to contact the team at the award winning Sharoe Green Dental Practice and we’ll be happy to arrange an appointment. There’s a lot to smile about this summer, not least the incredible heatwave we have been lucky enough to enjoy. Fingers crossed the warm, sunny weather will continue once school’s out. But for many people, it is the sport that is truly putting smiles on faces. Of course, Wimbledon and the Tour de France are proving hugely enjoyable as always. But the highlight this summer has to be the Football World Cup, with England through to their first semi final since 1990. Whatever the final outcome, the new look England team and their performance so far in this tournament of tournaments will leave many fans smiling for months and even years to come. Unless of course you are unhappy with the colour of your teeth and find yourself avoiding selfies and smile at all costs. But did you know that it is easy to get a perfect, winning smile this summer – and it won’t even cost you the earth! Read on to learn more. Why do I need to whiten my teeth? When you think about it, our teeth take on a huge challenge every day. They are essential to eating and speaking and are exposed to every item of food and drink that we consume. Day in, day out, they are putting in as much effort as a world class footballer on the pitch. With this constant exposure to different substances, it is natural that they will fade over time. The problem can be worse depending on your habits, especially if you smoke or consume coffee or red wine frequently. Even brushing carefully every day cannot completely prevent staining from occurring. Because some stains develop beneath the surface, they can’t be tackled with a toothbrush and whitening toothpaste alone. Whilst some people may be content to leave their teeth alone, many people find themselves increasingly self-confident about the colour of their teeth and this can have an impact on confidence which may affect both your personal and professional life. If you don’t like the appearance of your teeth, giving a presentation or posing for a family photo can quickly turn into torture. You may even find yourself vanishing completely from your social media profiles. If this sounds like you, then it is definitely worth investing in having your teeth whitened. Can I whiten my teeth myself? There are many low cost teeth whitening toothpastes and DIY kits available, both from reputable supermarkets and pharmacies as well as much less trustworthy online outlets and auction listings. In the first case, while the products are likely to be completely safe as far as your health is concerned, they will only have a very limited level of effectiveness. This is for two main reasons. Firstly, for the safety of consumers the law only allows them to contain the active ingredients at a fraction of the strength that a dentist is able to offer. This means that their ability to remove stains is very limited. Secondly, a whitening toothpaste will only address superficial staining and not address the deeper staining in and beneath the enamel, which is the bigger cause of visible problems. As a result, you may well find that you are spending significant amounts of money without ever seeing the effects you desire, leaving you frustrated and out of pocket. Teeth whitening preparations and kits ordered online offer little or no guarantee that the ingredients meet basic standards of safety and may be unfit for use. There is a high risk when using such products – it is far safer to invest in having a dentist perform your teeth whitening. Most importantly, professional teeth whitening carried out by or under the supervision of a qualified and registered dentist offers a guarantee of safety. You can be sure that the process, equipment and any chemicals all meet strict healthcare criteria. Your dentist will always conduct a thorough examination beforehand to make sure that you are suitable for the treatment, and will take measures to avoid unnecessary exposure to sensitive areas such as your gums. Because dentists have access to chemicals in much stronger concentrations, you can be sure that your teeth whitening treatment will be effective. Your dentist will discuss your desired outcome prior to the treatment so that you know what you can expect and the process will be personalised to get the best possible results. Whilst it may seem that paying for your dentist to whiten your teeth is an expensive option, when you consider the fact that it is extremely safe and highly effective, the price is worth paying. You won’t be putting your health at risk and will get guaranteed, lasting results that leave you with a confident smile you want to share everyday. Here at Sharoe Green Dental Practice, we offer two kinds of teeth whitening treatment. Just £395 for non-members and £316 for members (20% discount applied)*. Includes a take home kit so you are able to top up and maintain your bright smile. We take impressions and make your whitening trays at the surgery. You take the trays and gels home and complete at home. We use ‘White Beauty Dental’ teeth whitening system, a worldwide market leader in tooth whitening. Safe and given with professional guidance – products bought online can cause damage to your teeth and gums! To book your teeth whitening now, call the award winning team at Sharoe Green Dental Practice today on 01772 718753. Don’t forget to enquire about our latest offers. *Prices correct as at 10/07/2018 and may change without notice. Please confirm the actual price at the time of booking. For the last month, dentists, doctors, schools and community organisations across the UK have been working together to promote National Smile Month, an important annual campaign to promote healthy teeth for life. This year’s event may have just come to an end, however the message of National Smile Month is all about doing the best we can to keep our mouths and teeth healthy all year round. It’s never too late to get on board. Take action to give you and your family the best possible start when it comes to your precious teeth. So what has this year’s National Smile month been all about and why is the message so important? Let’s take a closer look. National Smile Month – What is it? National Smile month is organised every year by UK oral health charity The Oral Health Foundation. The main objective is to raise public awareness of important health issues and make a positive difference to the oral health of the UK. Reduce the amount of sugary foods and drinks you consume. Get regular dental checkups – as often as your dentist recommends. By promoting these simple but important lifestyle decisions, it is hoped that the campaign will encourage adults and children across the UK to improve their oral health for the long term – and to have fun doing it as well. By working together, organisations around the UK can help educate, motivate and communicate positive oral health messages and improve the quality of smiles all around the country. Is National Smile Month Just for Children? 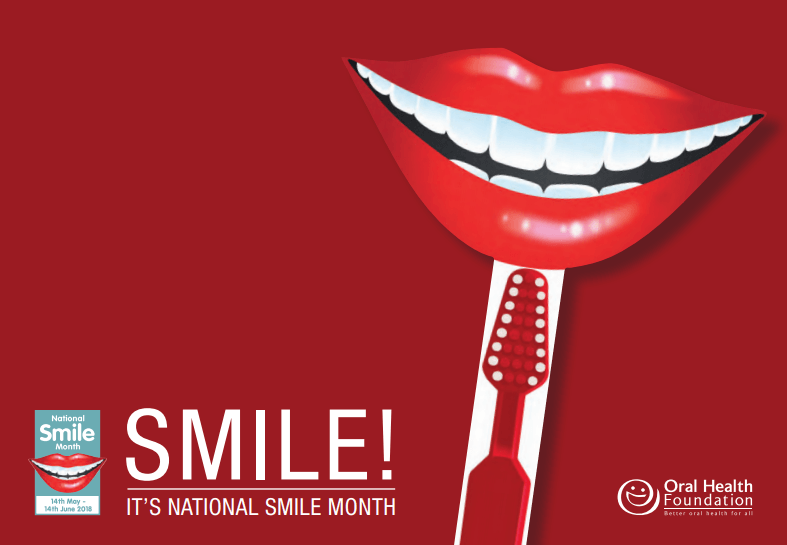 No – National Smile Month is for adults and children alike. It is for anybody who has an interest in health and wellbeing. It’s purpose is to raise awareness of important health issues, and ultimately, help make a positive difference to the oral health of millions of people throughout the UK. In particular, it is of relevance to parents and families to help ensure that children get their teeth off to the best possible start. What is the Oral Health Foundation? The Oral Health Foundation was founded in 1971. It was created with a mission to promote the preventive message that ‘Teeth are for Life’ as widely as possible to the public with the aim of improving the overall oral health of everyone. An independent charity (not for profit) and one of the largest of its kind, the Oral Health Foundation has now spent over 40 years providing expert, independent and impartial advice on all aspects of oral health directly to those who need it most, improving oral health and wellbeing around the world. To achieve its mission of addressing the inequalities which exist in oral health, changing people’s lives for the better, the organisation works closely with UK and European governments, dental and health professionals, manufacturers, the dental trade, national and local agencies and of course, most importantly, the public. How Can I Embrace National Smile Month? As well as adopting healthy eating habits and brushing teeth regularly, one of the easiest ways to embrace the key message of National Smile Month is to make sure that your family’s dental check ups are up to date. It can be hard to find time with so many different things to worry about, but the benefits of seeing your dentist at the right frequency cannot be There’s no need to worry – dentists understand just how hard keeping appointments can be. Here at Sharoe Green Dental Practice in Preston, we offer the very best in friendly and professional dental care. To book an appointment now or to enquire about becoming a member, call us today on 01772 718853 or click here to find more contact details online. This Friday, one of the biggest changes ever made in the laws protecting the personal data of individuals comes into effect. GDPR, or the General Data Protection Regulation in full, is a new law that supersedes the current Data Protection Act and serves to greatly enhance consumers rights when it comes to their personal data and the way companies collect, use and store it. It also places a greater emphasis on privacy and security. In order to be fully compliant with the new regulations, we’ve made a few updates to our website and would like to take this opportunity to ensure that our patients are aware of some of the key ways in which we are ensuring that the best possible standards are met. 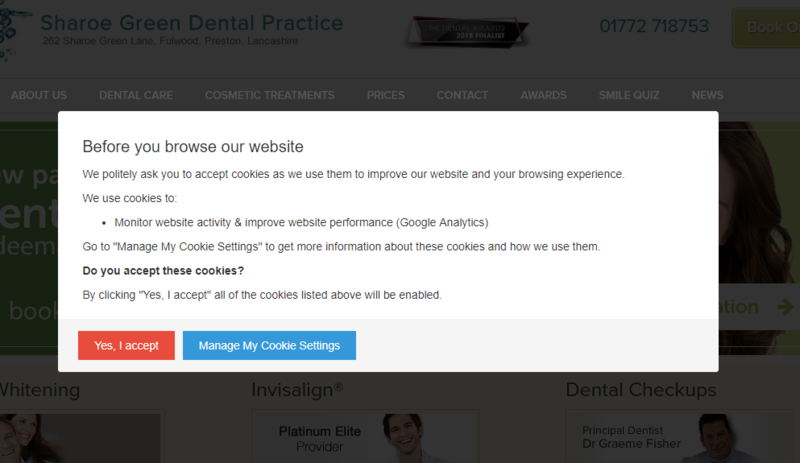 Cookies are messages that web servers pass to your web browser when you visit internet sites. They can be used to personalise your experience and record certain information such as pages viewed. Your browser stores each message in a small file. The vast majority of cookies are entirely safe, anonymous and nothing to worry about, however all websites have a duty to inform the visitor. The New GDPR legislation makes it mandatory for companies to ensure that website visitors are protected from hacking and data leaks. One way that this can be achieved is to ensure that the website is protected by what is known as SSL encryption, which means that any data shared between you and the website or vice versa cannot be intercepted. Here at Sharoe Green Dental Practice, we’ve been secure for a long time, however we feel that it is important for our visitors to know that they are safe. SSL encryption is recognised by your web browser and allows it to show the green padlock icon accompanied by the prefix ‘https’ in the address bar. To book an appointment with Sharoe Green Dental Practice of Preston now or to enquire about becoming a member, please don’t hesitate to call us on 01772 718753. We look forward to hearing from you! Missing teeth can have a big impact on our lives. As well as causing significant problems for our remaining teeth and posing a risk to oral hygiene, they can also have a huge effect on our confidence and self-esteem. Dental implants are often an excellent choice for those who are missing anything from a single tooth to multiple teeth. They offer a long term, natural looking solution to restore your smile. Many patients, however, are unsure if dental implants are the right choice for them. In this article, we answer some of the most common questions we hear from our patients. For many people, the difference in appearance when you have missing teeth is reason enough to get them replaced. Missing teeth can undermine your confidence and self-esteem. In some cases, this can have a big impact on your lifestyle, making you reluctant to smile or show your teeth. This can even lead to some people avoiding speaking in public and in some cases even avoiding eating with friends and colleagues. The impact on confidence can also make people reluctant to apply for promotions and new jobs. It is also very important to think about the potential longer term consequences of having missing teeth. When we chew with our natural teeth, this stimulates the bone in our jaw and helps to keep it strong and healthy. Without a tooth, this sensation is lost, and the bone can begin to weaken and recede. One effect of this is to cause the appearance of early aging. Another problem is that the weakness can spread, meaning you are at increased risk of losing other teeth. Dental impants are a popular and reliable solution to all of these problems. Dental implants work by replacing the root of the missing tooth or teeth with a new, artificial root. This is made from titanium, a biocompatible material that is able to bond with the natural bone. This makes it an incredibly strong foundation which the new tooth, called a crown, can be mounted on. Connecting the implant itself and the crown is a component known as an abutment. Once these three components have been fitted, you will be left with a smile that feels and looks completely natural. Most people will never be able to tell your replacement teeth apart, leaving you free to enjoy making the most out of life. Here at Sharoe Green Dental Practice, we use Straumann dental implants. Straumann are a global leader in implant dentistry, with over 8 million Straumann implants placed worldwide. Long-term surveys have shown that Straumann implants have a very high survival rate. For absolute peace of mind, our expert dental nurses are trained in Straumann Dental Implantology nursing. With high quality implants, the real key to how long they last is how well you look after them. As long as you maintain a good oral hygiene regime, follow any advice from your dentist and attend regular check ups at the advised frequency, the likelihood is that your dental implants will last for years to come – in many cases for a lifetime. I’m interested in getting dental implants – what should I do next? If you have missing teeth and would like to talk to the experts at Sharoe Green Dental Practice in Preston about dental implants, give the friendly, award winning team a call now on 01772 718753, or alternatively click here to view more options to contact us.